This listing includes a Complete BL-250 Series Strobe Kit for use in the factory headlights, corner lights, or taillights. This listing includes everything needed to install and requires no other parts or extensive modification. BlingLights Strobe Lights are just the thing for work or play. These Vehicle Strobe Lights are effortless to install and are sure to outshine the competition. 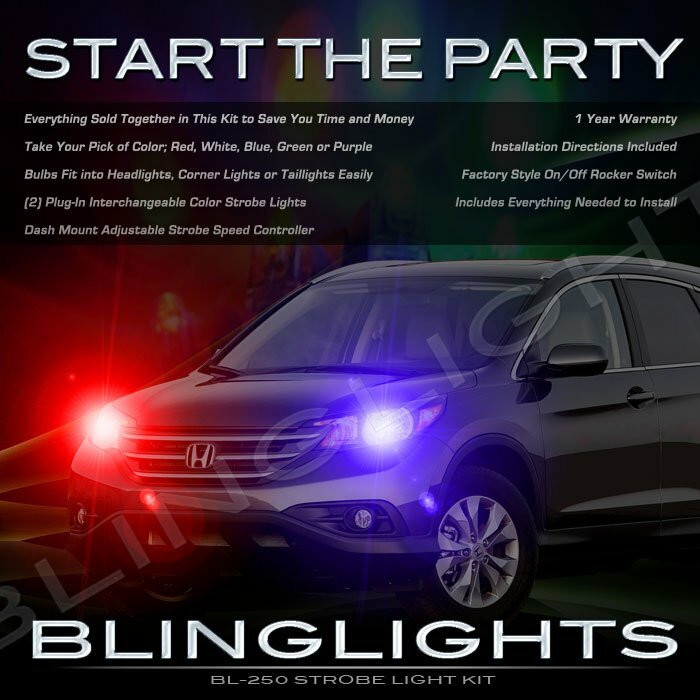 BlingLights Emergency Strobe Lights are great for any vehicle. Adapt them to your specific needs. Do it your way! - MSRP $59.95 - OVER 50% OFF! BlingLights BL-250 Strobes are a great entry level show strobe. Install in headlight housings, corner lights, taillight housings, air vents and more! Can I install these strobes myself? BlingLights makes it easy including everything needed and simple step-by-step directions. Most users can complete the install on their own in under 1 hour. Free unlimited professional installation support is also available through BlingLights by phone and email.